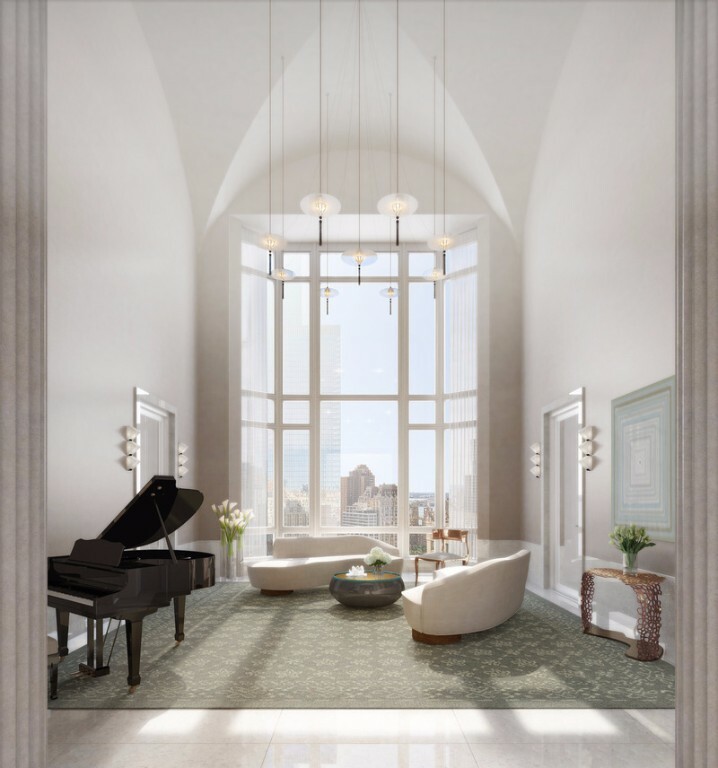 This building, designed by the renowned Robert A.M. Stern Architects, has an elegant limestone tower and combines a 175-room hotel with 157 luxury condominiums that will become an important landmark among the skyscrapers of Downtown New York. 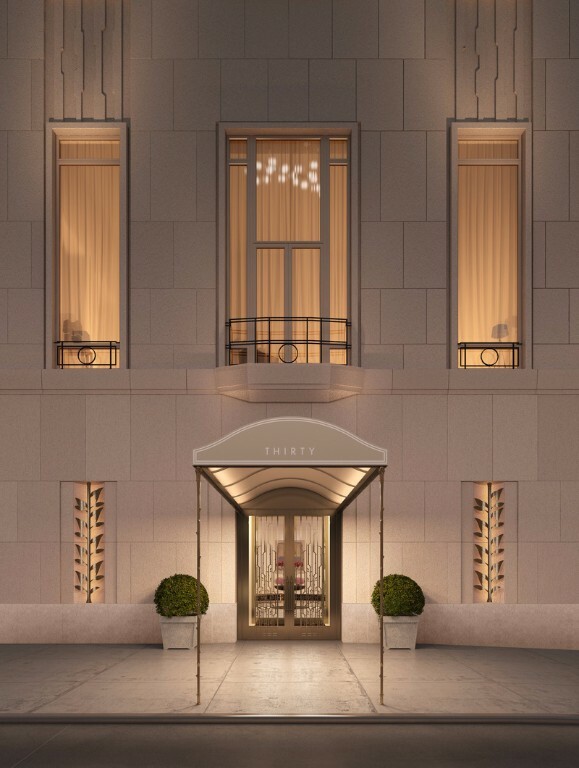 There will be A Four Seasons Hotel that will occupy the first 22 floors of the 80-story tower, which will also include a specialty restaurant. 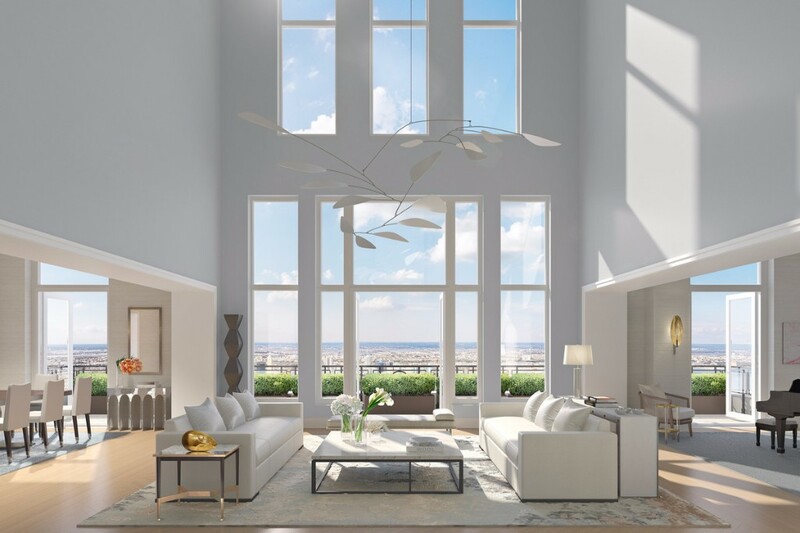 The remainder of the tower, which rises to a dramatic skyline profile of full-floor penthouses and setback terraces, will accommodate private residences as large as 6,500 square feet. 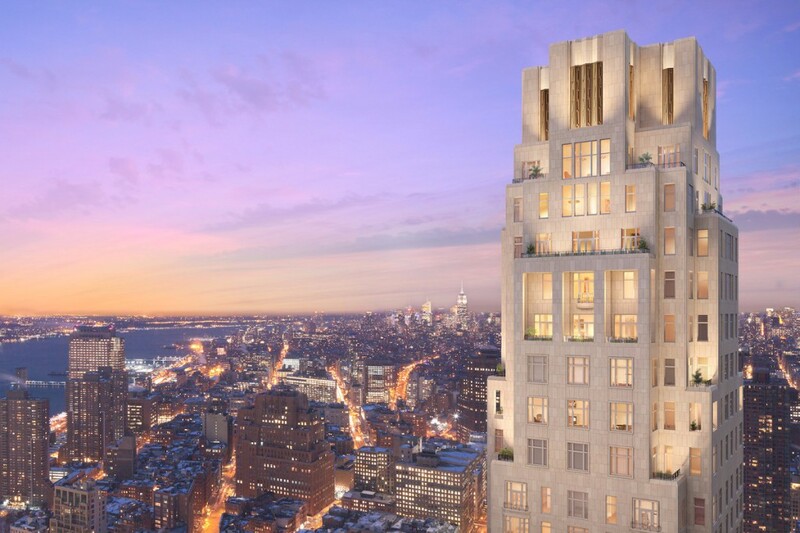 The Residences also will be managed by Four Seasons. 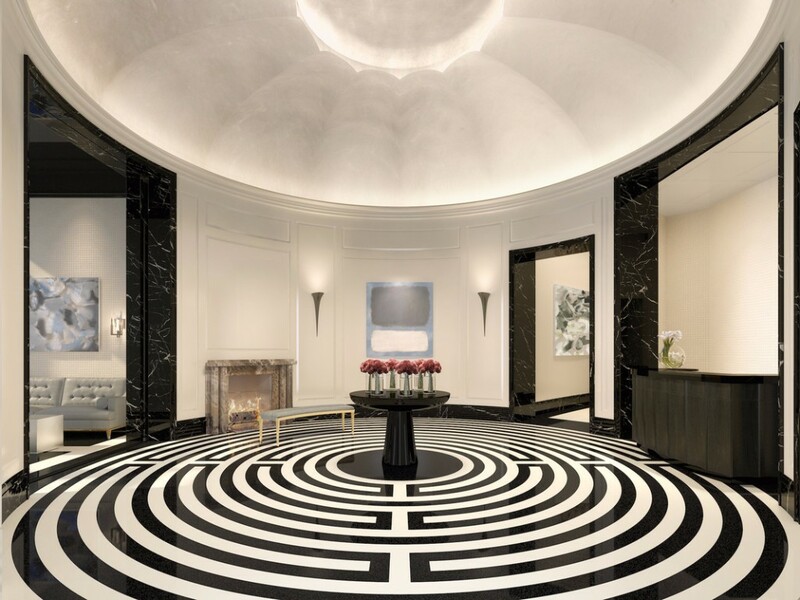 The Residences at 30 Park Place have their own separate entrance and lobby. 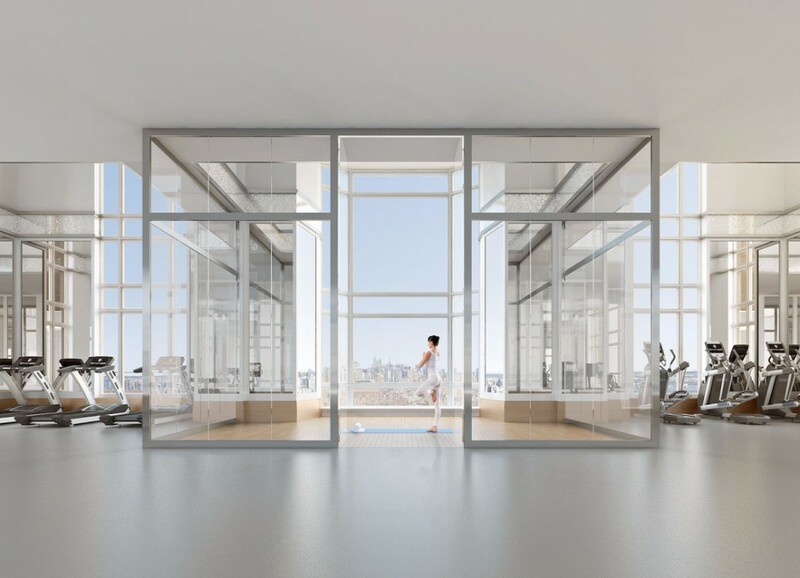 Exclusive to the residents, amenities for the Private Residences are located between the Hotel and Residences and include a 75-ft heated indoor pool, fitness center, lounge area, and children’s room. 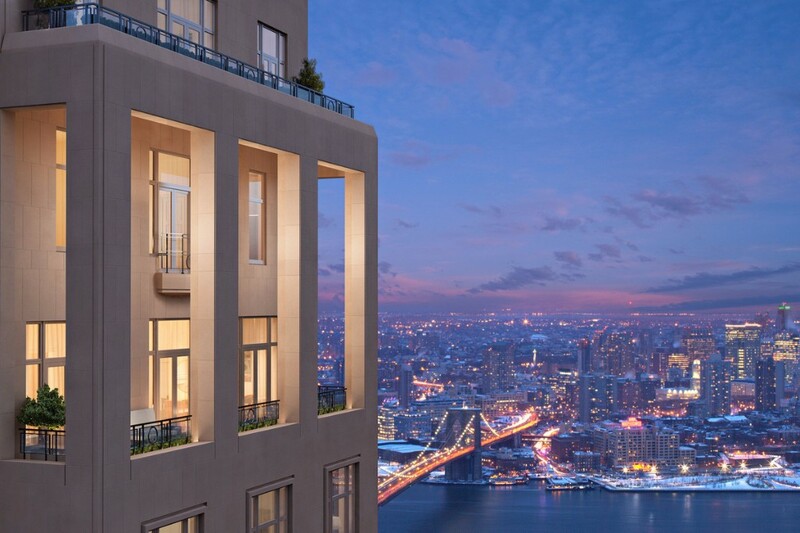 A landscaped public plaza is included as well.